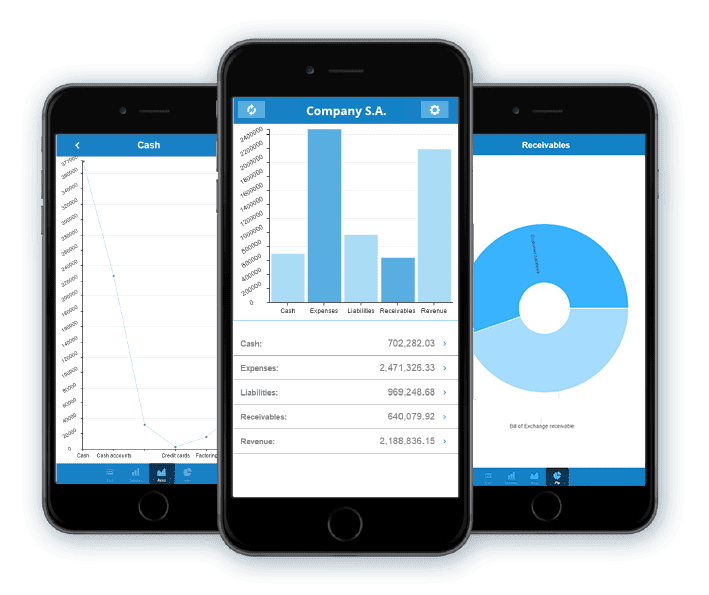 Soft1 QuickView is a mobile application that offers a quick view of the company's financial status. 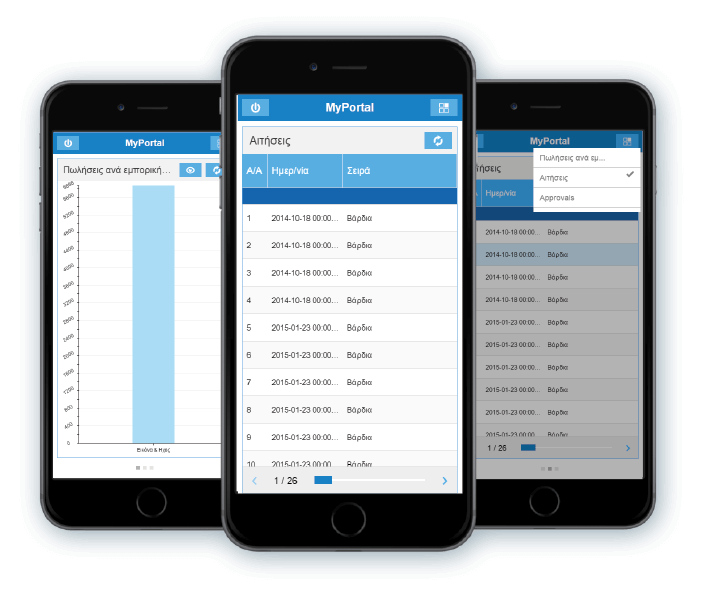 Soft1 QuickView is available for iOS and Android systems. Gross profit, sales, cost of goods sold, income from services, income from other sources, profits from the sales of fixed assets. Purchases, services, payroll, other expenses, amortization of fixed assets, damages from the sales of fixed assets. Customers / Debtors balances, receivable bills. Suppliers / Creditors balances, payable bills, loans etc. Cash, credit cards, checking bank accounts, savings bank accounts, certificate of deposit bank accounts, invoice allocation accounts.